Can triple-A Xbox One and PS4 games work on the Nintendo Switch? Most publishers have opted to side-step the question, but Bethesda is tackling it head-on – they’ve already released a version of 2016’s Doom on the system and a port of Wolfenstein II: The New Colossus is on the way. The Switch port of Doom was certainly playable, but some would argue it made a few too many visual compromises, so how’s Wolfenstein II shaping up? 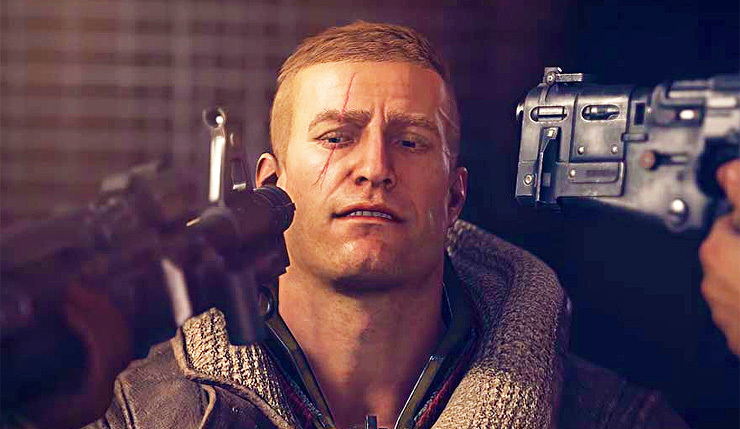 A few outlets recently got to try out Wolfenstein II on Switch, and it looks like developer Panic Button (who also ported Doom) have done a relatively impressive job. You can check out 18 minutes of direct-feed footage courtesy of GameSpot, below. It definitely looks like Panic Button have leveled-up their Switch-porting skills since Doom. Wolfenstein II’s resolution, textures and character models have clearly taken a bit of a hit, and everything’s running at only 30fps, but still, the Switch version looks surprisingly comparable to it’s Xbox One and PS4 big brothers. Is this the ideal way to play Wolfenstein II? Probably not, but it’s nice to see the quality of Switch ports improving. Wolfenstein II: The New Colossus is available for PC, Xbox One, and PS4. The Switch version will arrive sometime this year.